Our goal is to provide golfers of all abilities the local course knowledge necessary to save strokes and improve their scores. Caddytips are your written guides on how to play a specific course, shot-by-shot. We have spent years accumulating precise and detailed tips on how to play the top courses in the world. Benefit from detailed course information and proven plan of attack and a proven plan of attack. 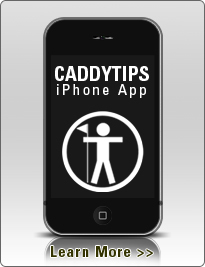 Caddytips allow you to prepare for your round during your pre-round practice sessions. Caddytips are designed to help you avoid the pitfalls that keep you from breaking 80 on a consistent basis. Avoid the big numbers and learn valuable information about course strategy.